If you're thinking about powering up your cloud accounting package, Xero or QuickBooks Online, by introducing one of the third party applications (apps) available then that's almost definitely a terrific idea. Continuing in our series of things our customers have asked us in hushed voices because they thought they should know this, but didn't, and which is FINE because no-one is born understanding finance, plus we love explaining this stuff. We had a meeting with a new client last week, a small consulting firm, and one of the first questions they asked us was "What's the difference between a Balance Sheet and the Profit and Loss?". Demistifying Cloud Accounting with Quickbooks Online Come and join us at the Apple Store, The Mall at Cribbs Causeway, on Wednesday19th October for a Business Workshop which will introduce you to Cloud Accounting and the Quickbooks Online app. Well, this is helpful. Unleashed have announced improvements to the way it handles stock taking. Until now the stock take has always meant having to stop business and freeze all your inventory in order to get stuck in manually with the count. 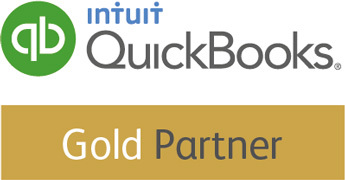 TMT Accounting are chuffed to bits to announce that we have been recognised as a Gold Partner with Xero, the global leader in online accounting software.